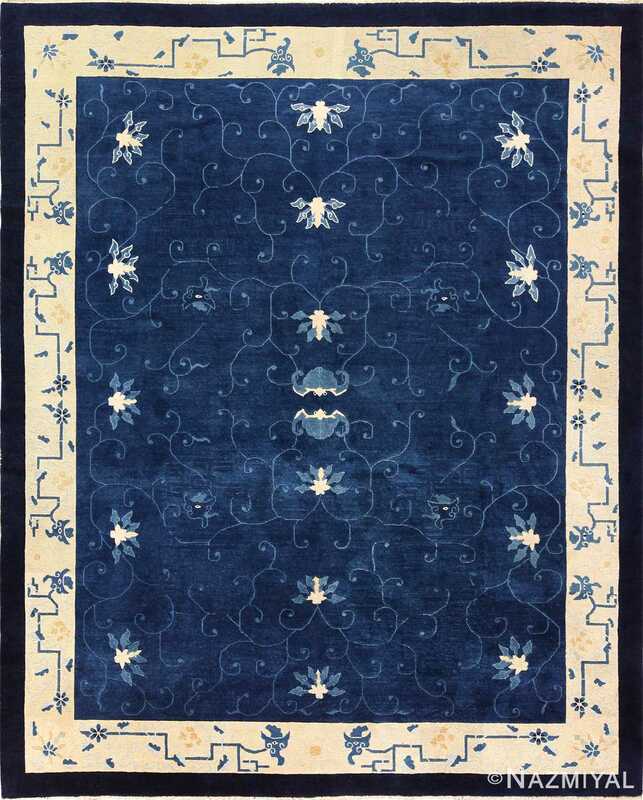 Crafted in China during the early 20th century, this stunning antique Chinese rug features an elegant blue field surrounded by decorative cartouches and Kufesque inscriptions. 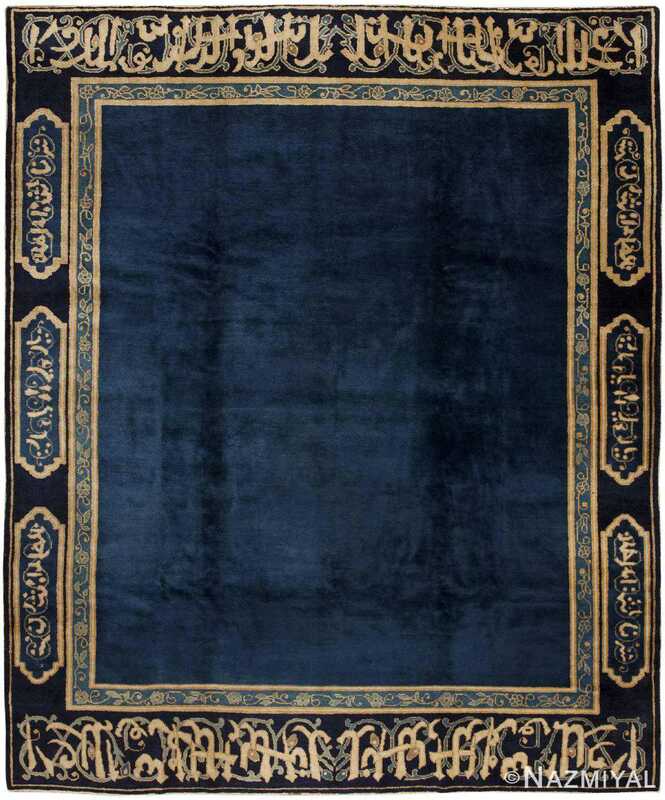 Chinese Rug, China, Early 20th Century – This superb antique Chinese rug features an expansive monochromatic royal blue field that is paired with elaborate Indo-Persian borders. Elegant inner borders adorned with a meandering pattern of graceful vine scrolls perform a transitional function that marks the boundary between the unadorned field and the lavish borders. 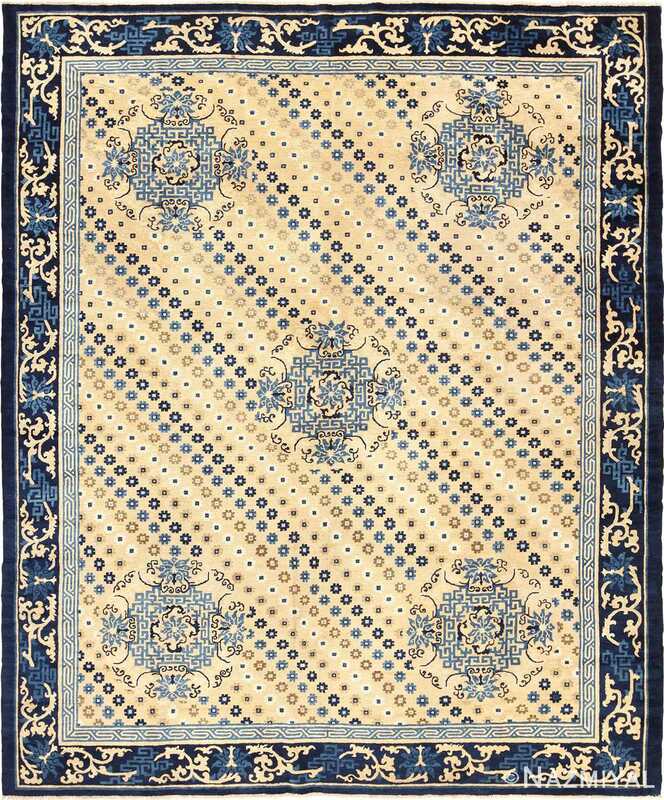 Decorative cartouches with golden outlines fill the deep midnight blue borders that line the edges of the composition. On the ends, spiraling vine scrolls create an elegant background that is covered with broad pseudo-Kufic inscriptions that are rendered in a golden hue of camel brown. 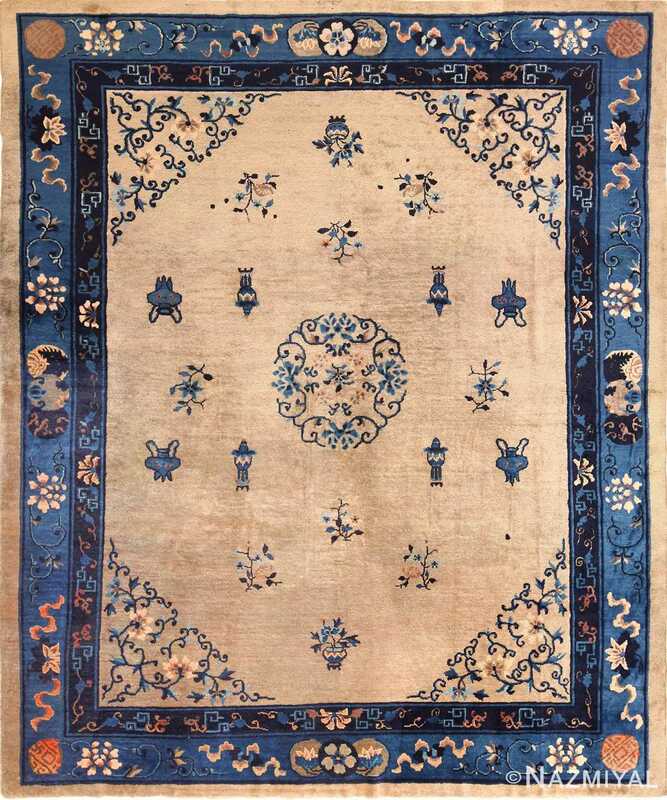 This extraordinary antique Chinese rug represents an unorthodox combination of Indo-Persian influences that are paired with Eastern design principles.